Why Isn’t My Account Going Up? To claim that the election of Donald Trump as President-Elect of the United States was a surprise is an understatement! Not only were pundits and polls proven wrong, the financial markets reacted violently, and at odds with the consensus opinion. 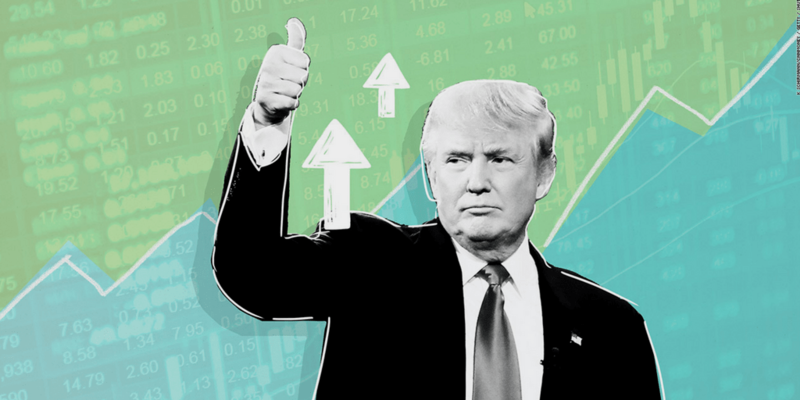 At the heart of the stock and bond market’s reaction is the as yet unfulfilled belief that President-Elect Trump will be able to enact substantially his entire platform; which is stimulative in nature, at the expense of exploding the national debt. This is the primary reason why the long end of the bond market moved violently down since just before the election, giving up -2% of its value. In the mean time the broad U.S. stock market rose by +3.5% while foreign bourses declined by -2%, foreign bonds (hedged) declined by -1.25%, and emerging market stocks fell by nearly -6%. As you can see, a well diversified portfolio has actually declined in value since the election. As we have said in the past, markets can react emotionally in the short run, and that certainly has been the case since the election. There are a number of reasons to doubt the veracity of this short term move. For years Republicans have been deficit hawks. They have been elected with the promise of less government and debt management. Mr. Trump’s platform, if enacted, will greatly expand government through massive spending programs on infrastructure and defense, while at the same time cutting corporate and personal income taxes significantly. Our annual deficits and the national debt will likely explode if these proposals are enacted. Financial markets will be watching the next legislative session with a wary eye. Due to the heavy debt level our nation already carries, increasing GDP growth at the cost of adding further to our nation’s debt seems to be a dubious policy that may pay dividends in the short run, while creating a potential crisis not too far down the road. At this point no one knows with any certainty what will come to pass with the new Administration. While we may make some tweaks to our portfolios in the short run, prudence warrants a wait and see approach.